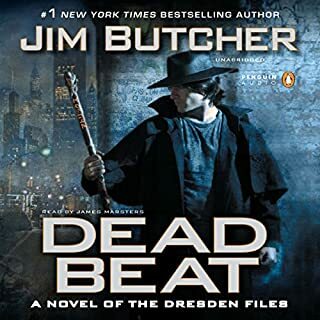 The new novel in the #1 New York Times best-selling Dresden Files series. Long ago, Susan Rodriguez was Harry Dresden's lover - until she was attacked by his enemies, leaving her torn between her own humanity and the bloodlust of the vampiric Red Court. Susan then disappeared to South America, where she could fight both her savage gift and those who cursed her with it. Now Arianna Ortega, Duchess of the Red Court, has discovered a secret Susan has long kept, and she plans to use it - against Harry. To prevail this time, he may have no choice but to embrace the raging fury of his own untapped dark power. Because Harry's not fighting to save the world...He's fighting to save his child. Can't wait for the next book. Harry Dresdan is one of my very favorite people. after a few slower novels, this one picks thing back and takes you on a crazy trip. was very enjoyable! 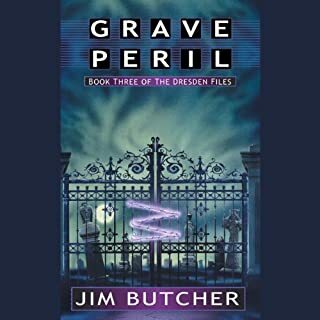 Butcher's latest Dresden File is OUTSTANDING. Yes, totally worthy of All Caps OUTSTANDING. If you think that because you've read his past Dresden novels, you know how this one is going to end... prepare to be shocked. "Changes" is definitely an appropriate title for this book. I won't go into the plot, because anything beyond what the publishers already described would be far too spoilerish. Can't say enough good things about this one. Definitely worth the buy. I couldn't stop listening to this amazing story. James Marsters has read it perfectly. He is the voice of Harry Dresden and I hope he will read all the upcoming books. Wizard Harry Dresden face his most daunting battle ever in this latest installment of his war with both the evil in the world of magic and the demons within. This time he must fight to save both himself and the daughter he only recently learned existed. Like all of Dresden?? ?s adventures, the book begins with the revelation of an evil plot leading to lots of little battles culminating into an epic confrontation. 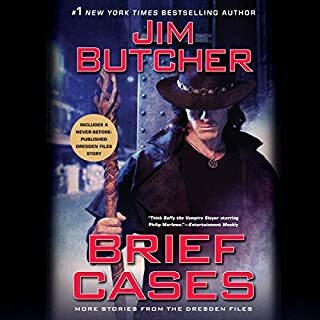 We know that Dresden ultimately will win, but author Jim Butcher does and outstanding job of ramping up the suspense by creating heart stopping how-is-he-ever-going-to-get-out-of-this-one encounters with the badest of the bad monsters from the netherworld. This one, however, is different. The ending is a twist I didn?? ?t see coming, and it does indeed change everything. The next book in the series is due out this fall and it will no doubt be very interesting to see how Butcher does get Harry out of this one. I think there may be clues in some of the recent books, but we?? ?ll have to impatiently wait and see. 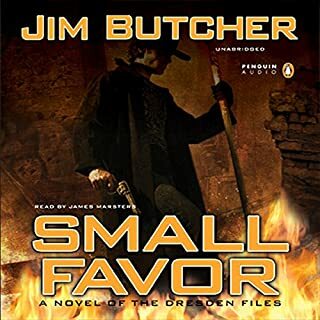 Narrator James Marsters, as always, does a magnificent job of channeling Dresden and bringing Butcher?? ?s imaginative writing to life. 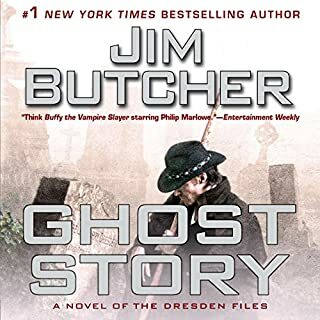 This is easily the best of the Dresden series thus far. The book is aptly named and aptly written along those lines. The character development is phenomenal and many questions are answered. Those who are saying this is a Finale? Nope. I ain't buying that one. I highly recommend this to Dresden fans but STRONGLY DISCOURAGE this being your FIRST book to introduce Dresden. I am so pleased that Audible now has the complete series now and I recommend you start at the beginning and have the sweet experience of going through all twelve books. 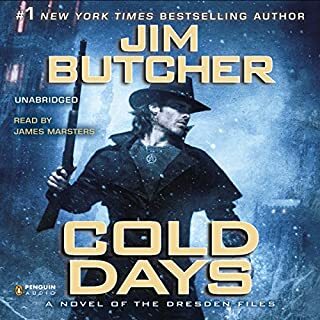 James Marsters does his very best in this audiobook. It's almost more of a dramatized version than an unabridged audiobook! Thanks, James for such an excellent performance. 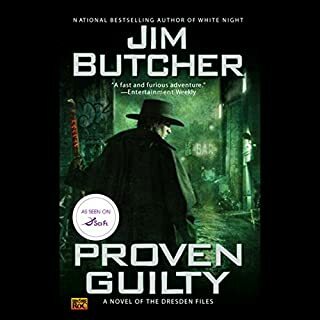 I really enjoy the entire series; I really enjoy the way Butcher writes. 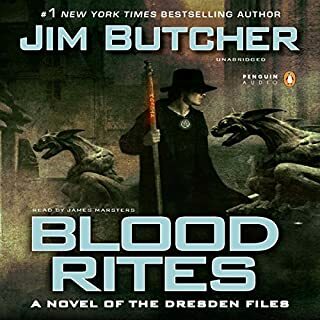 This one is a lot of transformation all at once in Dresden's life, but James Marsters does a fantastic job of reading it, as always. Marsters is an absolutely amazing reader. Not perfect, but vastly entertaining! Summoned Up Another Great Book! Literally, from the first line to the last I was captivated and riveted. This is a fast pace story with many of the old characters returning. 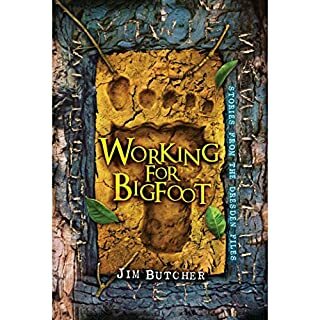 You will laugh at the humor, cry at the "changes" and be thoroughly entertained in the imaginery world that Jim Butcher has created. The scenery details are amazing and the storyline is a paranormal rollercoaster of making bargains, meeting demons (don't want to say any spoilers) and visiting "never never" places (outside of Chicago). 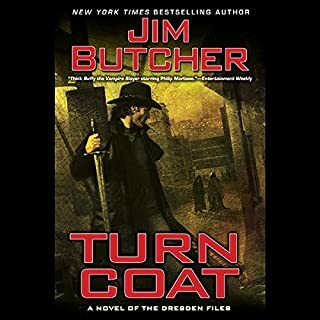 Harry Dresden learns more about his family and his friends, and in order to save one he has to sacrifice. James Marsden is the voice of Harry Dresden and he portrays him flawlessly. He is Harry, and he projects the other characters very well. This series gets better with every book, now is the waiting for the next. 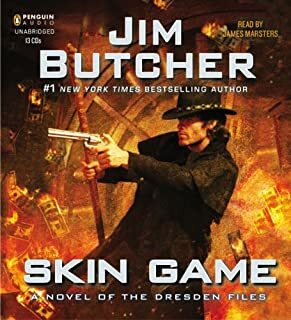 Highly recommend reading the Harry Dresden series in order. I would say that this book really displayed the evil-ish or lets say the dark side of Harry.... I love how always the starts of these books are really WOW moments, but this one was WOW * 3413413112344 .. My jaw was hanging when i heard what a certain person told Harry, and i think his reaction was even worse than mine. What I love about this series that its not only the one thing happening, but its the too many things that are happening, so you never get bored at all.... And in this one believe me when I say you will never get bored for even a single second. Narration is amazing as usual...... And the end of this book was one of the best and one of the most WOW moments I have experienced. The Wind - powerful and strong! Hold on tight! It's a great ride!! "Changes" or should it be "Finale'". The book builds up to a major end game, and provides a lot more answers then questions. Enjoyed seeing old characters come back into the picutre. I hope this isn't the end of the series, because I'm addicted!! James Marsters does a phenominal job as narrator! His acting pulls you into the story, bringing out all the emotions and humor. Over all, a well built story, great adventure, surprises, and as always a fun and thrilling ride. A must buy, definitely credit worthy! 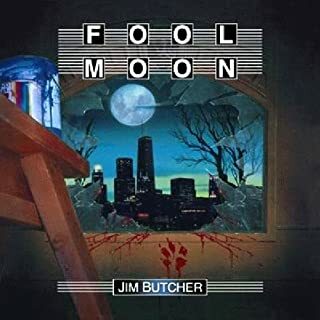 Mr. Butcher, please write more NOW! 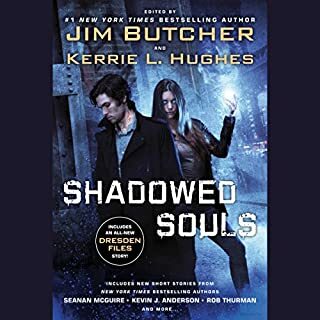 Jim Butcher at his best! 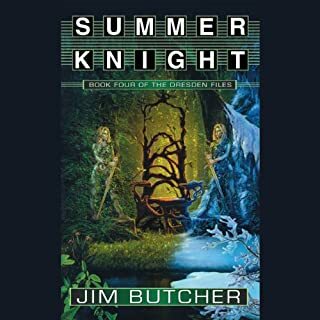 This is probably the most fast moving of the books in terms of action, but it doesn't reduce the rich drama and character development along the way that is the hallmark of Butcher's writing.. The only problem I had with the story was the ending, but don't let that keep you from buying it. For any fan of modern/urban fantasy, this book is at the top of the pile. 6 stars - How could it get any better? 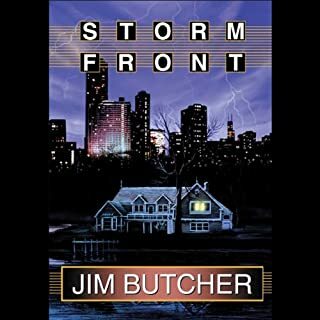 I was hooked on Harry Dresden practically from the first moment of Storm Front. 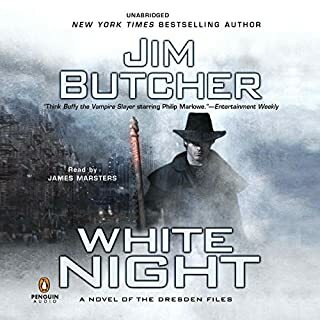 While early books were a little shaky - and James Marsters took a while to reach his stride as a reader - by the time I listened to White Knight, I was convinced that Butcher & Marsters were at the top of their games. Yet over the course of the next several books, Harry and the cast of supporting characters became even more complex, more interesting, more human. And Butcher kept revealing surprises and "Aha!" moments that kept me engrossed. From the opening moments of Changes, I knew that Butcher had trumped himself with this one. Everything - and I do mean everything - comes together here in a deeply satisfying way (despite a cliffhanger conclusion). Plots that have been unfolding for several books are finally resolved and new ones introduced. Changes reminded me a lot of the final chapter of The Lord of the Rings - a series referenced by Harry as he and his friends (and even former foes) form a fellowship in order to complete the ultimate quest. The book culminates in a battle of good vs. evil of epic proportions and has a valedictory feel to it. 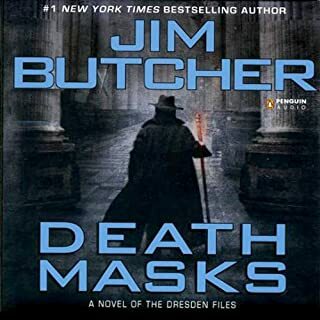 But according to Butcher, there are several more books planned for the series - good news for his devoted fans. 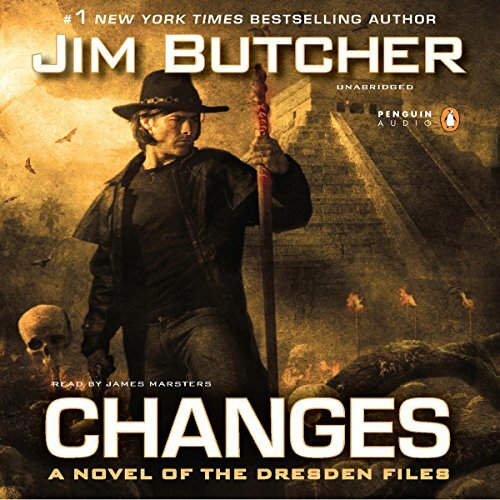 I urge anyone who has not read previous Dresden Files not to begin with this. The impact of this book is meant for devoted fans - it is a payoff 12 books in the making - as well as a glimpse of new directions for Dresden and Company. Any criticism I have seems petty by comparison to the towering achievement Butcher has realized in Changes. There are a few moments where I felt the editing should have been tighter - which is perhaps why Butcher has pushed back the release of his next outing - Ghost Story - from April to July, 2011. 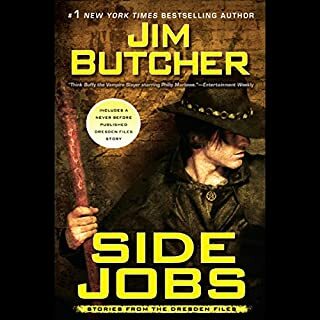 The worst part of being a Dresden Files fan is figuring out how to feed our addiction between fix. Bravo, Mr. Butcher! A tour de force.